Vancouver Island, off the west coast of BC, Canada, has the highest density of black bears in North America. These black bears are well known for being the largest bodied bears of their species - so large that they have now been re-classified as their own sub-species of black bear, the "Island Black Bear". Canadian Hunting Guides & Outfitters offers both spring and fall black bear hunting trips with rifle and muzzleloader. We also offer black bear archery hunting trips. These are all very exciting spot-and-stalk hunts. Hunters usually see numerous bears per day with a high percentage of large, mature boars. We are very selective on the age and size of bear we harvest and we target only old mature male bears for your trophy of a lifetime. Spring hunting is conducted out of 4x4 trucks, ATVs and ocean-going boats, as well as many light hikes. Fall hunting takes place over salmon spawning rivers and streams, up close and personal with the bears as they feed on the fish. Fall hunting is conducted out of 4x4 trucks, ATVs and river drift boats. In the early Spring, our experienced hunting guides take clients bear hunting in the areas abundant with the black bear's food sources of grasses and clover. These include the old forestry roads, clear cuts as well as river mouths, estuaries and ocean beaches. In later spring we hunt the clear cuts and forestry roads where the big boars come to find their mates in the peak of their rut activity. 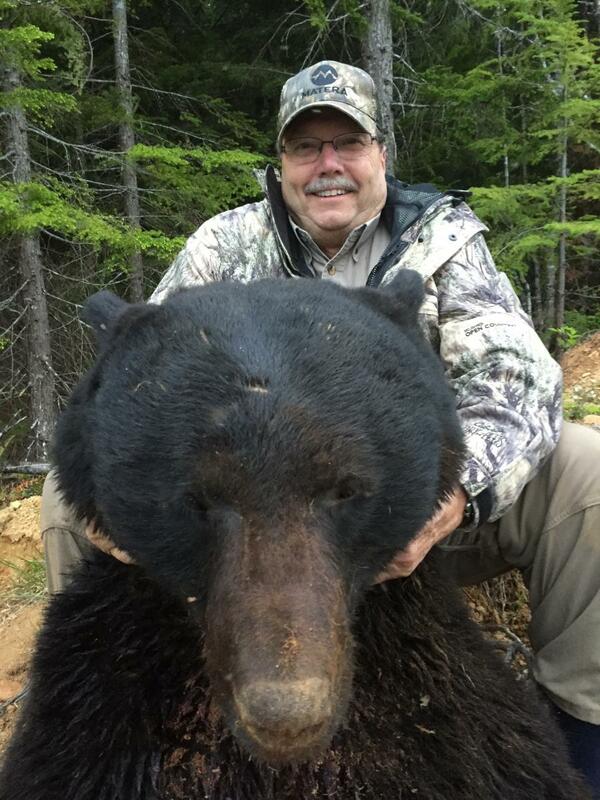 A second bear may be taken on both spring and fall hunts for a trophy fee. Both hunts are based out of our very private, comfortable lodge West Coast River Lodge, with excellent meals and fresh local caught seafood. Check the hunt schedule to see which species you can combine with this hunt.